From Boys’ Life magazine, May 1969. A comic strip featuring “Members of The mighty i Patrol! 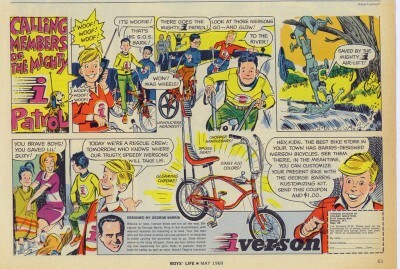 Illustrated is one of the George Barris designed Iverson “Drag Stripper” muscle bikes.